Torr Raseach – hill of shrubs. The text below has been edited from One Man in His Time by John Robson 1998. The parish of Torr Raseach, now Torosay, was once part of the living of the abbots of Iona. Eventually it came under the ownership of the Macleans of Duart, but was forfeited to the Campbells – Dukes of Argyll – at the end of the 17th century. In the early 18th century, on the site of what is now Torosay Castle, the Campbells built Achnacroish, a comfortable early Georgian-style house overlooking the ruins of Duart Castle and the Sound of Mull. The steadings, farm square and tower, which still remain, were built behind the house on the landward side while a walled garden was built on the seaward side. By the 1820s the parish of Torosay had been sold to Lt. Col. Charles Macquarie of Glenforsa, brother of Lachlan Macquarie, Governor of New South Wales, who became known as The Father of Australia. The Campbells became so successful that, by 1850, they aspired to be recognised as ‘The Campbells of Possil [Park, Glasgow] and Torosay’. Achnacroish was demolished and Edinburgh architect David Bryce (1803-1876) was commissioned to ‘build something more in line with their ambitions’ (Robson, 1998, p. 16). Although Bryce was the leading architect of the ‘Scots Baronial’ school of architecture, the southern elevation of the new house was designed in the style of a French chateau. 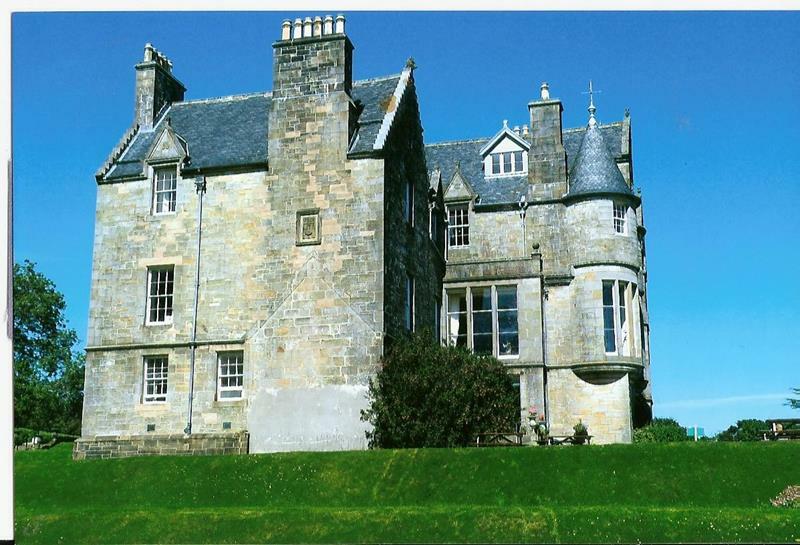 The house was completed in 1858 and the Campbells named it Duart House, appropriating the name of the ruined castle across the bay. Arbuthnot Guthrie died in 1897 leaving Duart House, the estate and various other properties to his nephew Murray, who promptly put his Mull inheritance on the market [the extensive sales brochure can be viewed here on the RCAHMS website]. However, Murray had doubts about the sale and when he and Olive, his wife of two years, came and saw the property, he took if off the market just as promptly as he had put it on. Murray had plans for the house and gardens. During a trip to Italy in 1900 he found a derelict house on the outskirts of Padua, in the garden of which were nineteen life-size statues of artisan figures (attributed to Antonio Bonazza 1698-1763). He had them brought back to Mull where they became the focus of the famous statue walk. Murray died a premature death at the age of 41 in 1911, but before he died he ‘sold the ruin of Duart Castle to Sir Fitzroy Maclean’, thereby restoring ‘to the Macleans their heritage of 200 years’ (Robson, 1998, p. 30). Then, in 1912, Murray’s widow Olive wrote to Sir Fitzroy telling him ‘I wish to leave the name of Duart to you alone’ (Robson, 1998, p. 31) and that was the point at which Duart House was renamed Torosay. The indomitable Olive carried on with the support and affection of her estate workers and in 1926 her grandson, David James, aged 6, began to visit his grandmother at Torosay on a regular basis. Under the tutelage of his grandmother David came to love Mull and the Torosay estate deeply. 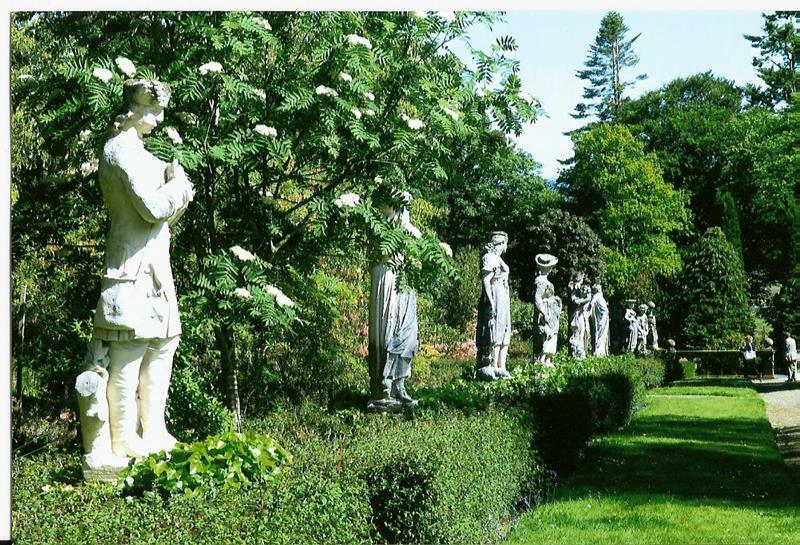 As Olive grew older she made the main part of the estate over to David’s mother, Bridget, and Auchnacraig estate over to her youngest daughter, Violet. Olive retained the castle and 11 acres of garden for herself. Olive died in July 1945 while David was on an expedition to the Antarctic. He received a wireless message informing him that he had been left Torosay Castle and gardens, but no money. It was another year before David was to return to Mull to find Torosay Castle in a very dilapidated state. It was decided to turn the Castle in to an hotel, ‘The Tangle of The Isles’, but the enterprise was ‘wound down’ in 1948 and the castle remained empty apart from a few weeks in the summer when the house was opened for the sporting season. 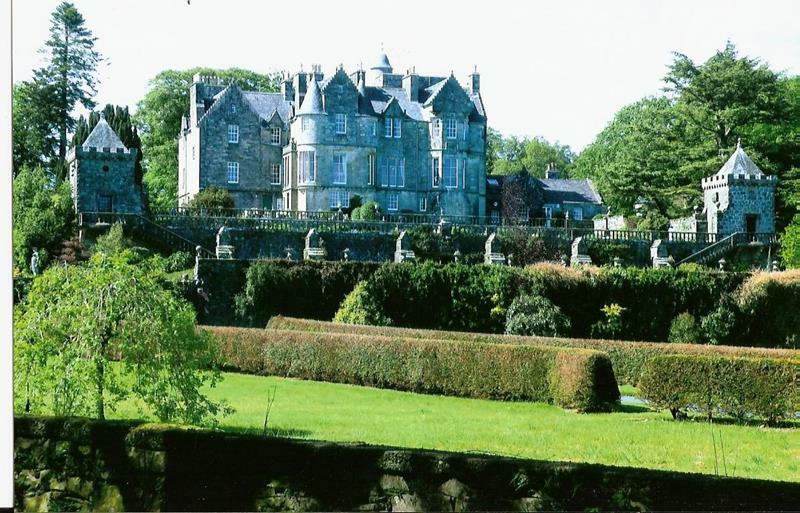 In 1953 David’s mother and step-father moved into Torosay, but the property needed constant expensive maintenance. Small parts of the estate were sold off in order to keep the castle viable. David and his wife, Jacquetta, moved back to Torosay in 1979, and his mother and stepfather moved into a refurbished apartment known as Little Torosay. 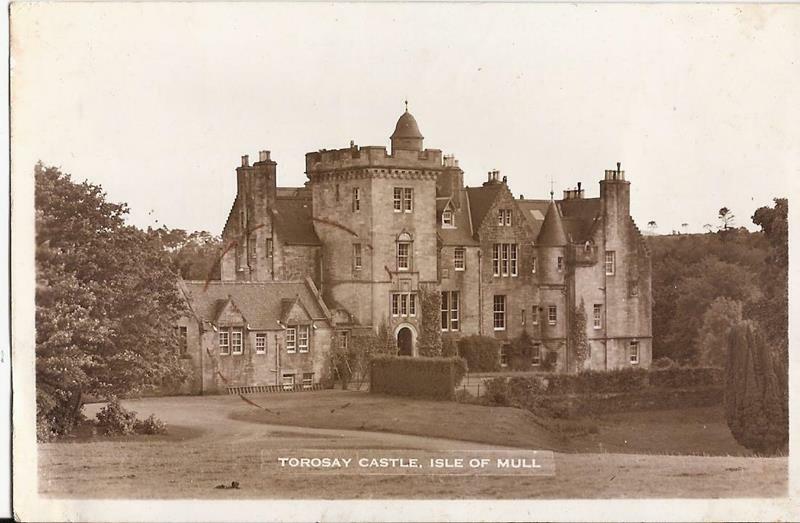 Torosay Castle and Gardens were opened to the public in the early 1970s, becoming a favourite destination for visitors until Torosay was sold out of the James family in 2012.